Cigar Smoker of the year event! Fuente Opus X… and Hublot! A day in the life of a whisky specialist! Cohiba Talisman... in... and out! Dantes available in the UK… at last! Cigar Auction / Cigar Festival! Inca Secret Blend Reserva D'Oro Robusto Has Arrived! Christmas Spice and Festive Treats! Cigar reviews - any good ? Partagas festival ? …bloody good! Supple, Smooth Speyside and Highlanders! New UK Regional… At Last! Herfing Inca Cigars in Chicago! Turmeaus Liverpool OPEN!… Well almost. C.Gars Ltd Live Auction now underway! 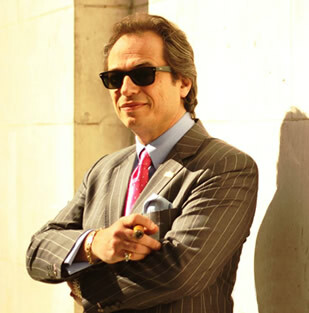 London is the Mecca for Cigar Smokers! Turmeaus Knutsford – NOW OPEN! Bolivar Belgravia… Oh yes ! Chester Turmeaus - Part 3! New York and New Turmeaus! 6 Days – 6 Flights! New Ramon – In and Out! RA 225’s Now or Never! Turmeaus Tobacconist Norfolk – Open! Whisky and Cigars - Party on Dude! First Cigar Auction of 2015! Partagas Festival Last Week, Vintage Cigar Auction This Week! What’s going on Mitchell Orchant?! Cigar tastings – good idea? Inka - Secret Blend YES YES YES!!! Gran Reserva - Oh yes! London Auction – Havana Festival! UK LFDC – Cuba ERDM! Peru report - Inka Secret Blend! Still herfing… After all these years! Don’t mention the World cup! Santa Claus has come to Cambridge! Inka’s are in! Auction is up! Ramons are in… And out!! It Never Rains... It Pours! A Week in the Life… Of a Cigar Specialist! Back to normal?… not quite! Greetings from hot and sunny London! Budget bashing- thank you Mr Osborne - not! Wild Geese on the way! Adios January – Ola Monte Gran Reserva! Last call for the good stuff! C.Gars in the Financial Times! Limited editions - yes they are! Partagas E - Too Good! New Partagas Serie E No. 2! Fakes, fakes & more fakes! C.Gars Ltd – Cigar party at Boisdale BCW! New Turmeaus cigar shop now open …at last! Vintage cigar auction 48 hours! Welcome: UK Regional 2010 !!! Airport security? Marvellous - not! Congrats to George and Amy! What cutter? What rum? what cigars? Behikes - lower prices than expected! A blog about a blog! Romeo Cigars for Valentines of course! Directors favourites sampler - ridiculous! Best of the best? you bet! Rare whisky / Rare cigars - bring it on! Merry Christmas? yes very very merry! More Cohiba Gran Reserva! and auction update ! Non stop herfing in New York! UK Regional Editions - Taking orders now! New limited edition Havanas are hot! Summer? when does that start?! We are Open for Open! Cigar rolling at London office! C.GARS Ltd does Comic Relief! Brit awards and BBF's ! Punch UK regional exclusive have arrived !!!! UK RE's...bring 'em on Baby! The Truth Is A Lie! UK Regional edition La Gloria Cubana? Well yes and no! Does Barry Manilow smoke Havanas? UK exclusive regional LGC Wow!!! Boisdale Belgravia! At last English Market Selection LE's! Allergic to smoke? Oh dear, what a shame, nevermind! Rolling cigars in the C.Gars office! Popped over to Paris for lunch! Does life get much better?? H. Upmann Magnum 50 & Hoyo Epicure Especial!! Monte Sublimes LE...I don't think so! Global Whisky Shop Launch! 10% off your first order! Lower prices for shipping to North America ! H Upmann replica of the replica humidor £350 ! Wooohooo…the new London humidor is complete!! !